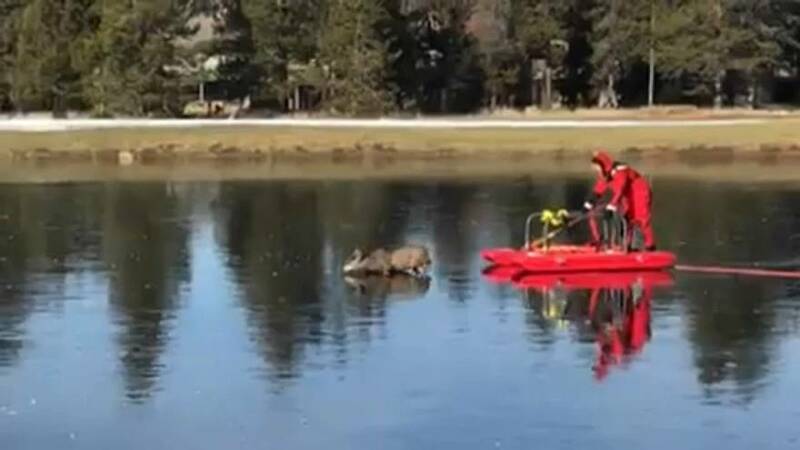 Sunriver firefighters were called to aid a deer calf who became trapped on a stretch of ice, over a frozen water hazard on a golf course in Oregon. Footage captured of the rescue at Woodlands Golf Course showed the frightened animal trying to run as one of the firefighters approached with a bright red ice rescue sled but falling down as it couldn’t stand up on the slippery surface. Once pushed to the side of the lake, the deer only needed some friendly encouragement to take to dry land.